Pathway of Hope is assessment & outcome driven. 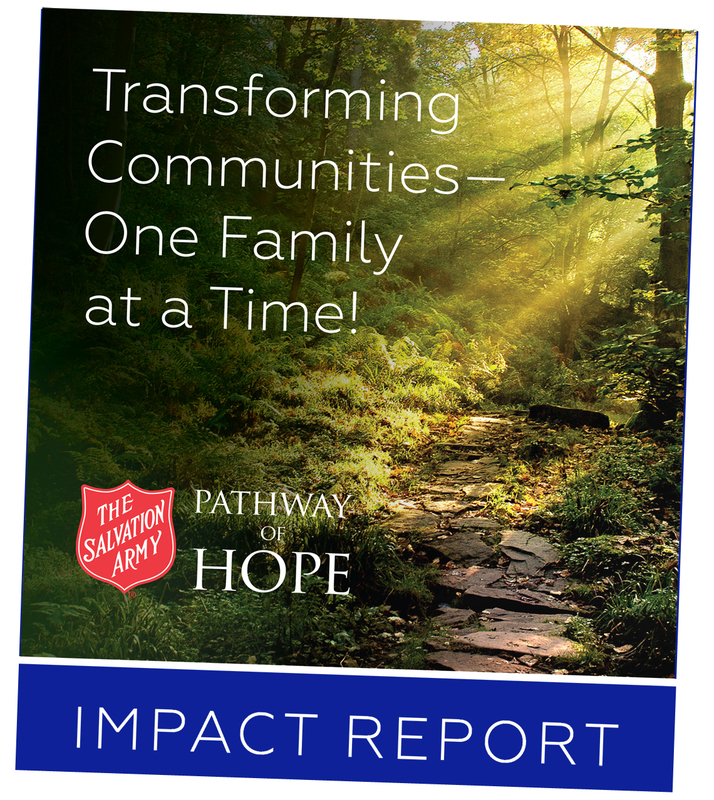 Pathway of Hope is having a positive impact on the lives of families who are seeking to achieve self-sufficiency. Discover their journey and triumphs through their own personal success stories . . .
Click on the video below to learn about LaTayna from Philadelphia as she shares her experience of being a Pathway of Hope client. A family living in Harrisburg recently came to America from South Africa, and for several months, they were staying with family members but not making any real headway toward being self-sufficient. Their living situation was becoming more precarious with each passing day. Then, this family found their way to the Harrisburg Salvation Army. After discussions with the Harrisburg Pathway of Hope case worker, the family was enrolled into the Pathway of Hope program. In this program, their case worker worked with them to develop a very specific plan of action to meet their goals of finding jobs and getting their own apartment. After six weeks since entering the Pathway of Hope program, the Harrisburg Salvation Army helped the family members find jobs at Amazon; provided bus passes to help them get back and forth for the first two weeks; helped them develop a budget plan to save for a security deposit and rent payments; assisted the family navigate through a credit score issue; and helped the family finalize everything needed to rent an apartment. This family, thanks to the Pathway of Hope program, is now only a few steps away from total self-sufficiency.